Fired up cat owners have hit out at a snake catcher's Facebook post, which shows gruesome pictures of fatal python attacks on domestic cats. 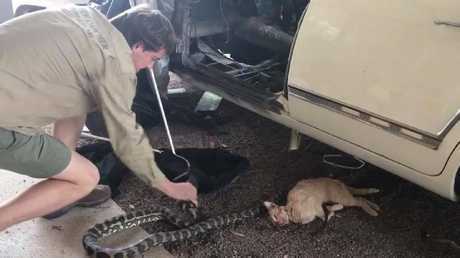 However, Noosa snake catcher Luke Huntley, who shared the pictures along with a warning about pet owners keeping their feline friends inside, hit back at the criticism that he stoked vile anti-cat comments with his graphic social media post. Uploaded on Wednesday, the post show one python with its stomach bulging from a pet it had. just swallowed whole. Another photo, taken a year ago, shows another cat lying dead next to a snake. "PYTHON KILLS CAT!!!" the snake catcher's post reads. "WHY YOU SHOULD KEEP YOUR CAT INSIDE!!!!" 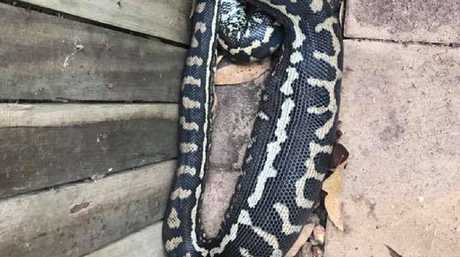 The animal handler added that the cat killed in Noosa last week had "got too curious" before it was eaten by the python - and wrote in his post that it should serve as an ominous warning sign for local pet owners. "If you love your cat don't let it out," he wrote. "There's cars, dogs, people and snakes that can kill them. So keep them in and get an outdoor enclosure for them. "Not to mention when you keep them in you're saving thousands of native animals a year! We have such a beautiful country and our wildlife is precious. Let's keep it that way. Keep your loved family cat inside and safe and also protect our wildlife. Everyone wins." However, a flurry of nasty comments quickly streamed in underneath the graphic post. "To be honest I like to see the tables turned for once. 1 less cat, 1 fed native animal. Thats (sic) 2 positives," wrote one commenter. "The only good cat is a flat cat," charmingly added another. It led to some locals accusing Mr Huntley of stoking insensitive, cat-hating comments, given a family had just lost its beloved pet. "Really dislike these kind of posts because it brings out nothing but ignorance in people," wrote one commenter. Mr Huntley hit back at the criticism saying he had not a written a cat-hate post. "If you read it properly … it's about stopping your cat from roaming and killing native wildlife by keeping inside or having an outdoor enclosure," he wrote. "And of course about keeping your cat safe. "If you do make an effort to keep your cats from doing that and safe then you're doing well. However, you cannot make assumptions about what other people do with their cats. You've done the right thing so this is not directed at you." First introduced by European settlers in the 19th century, cats are now estimated to kill around 60 million native animals a year - mostly birds and reptiles. In a bid to curb the damaged caused by rampaging felines, many towns and cities across Australia have begun to introduce "cat curfews" which ban them from going out at night. 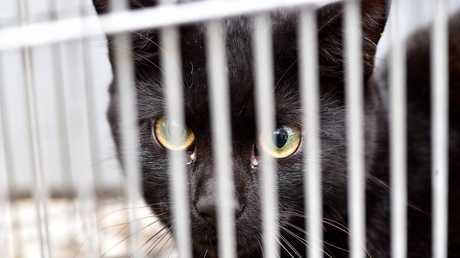 Canberra created 12 "cat containment" suburbs, where owners who let their cats outdoors can be fined $1,500. 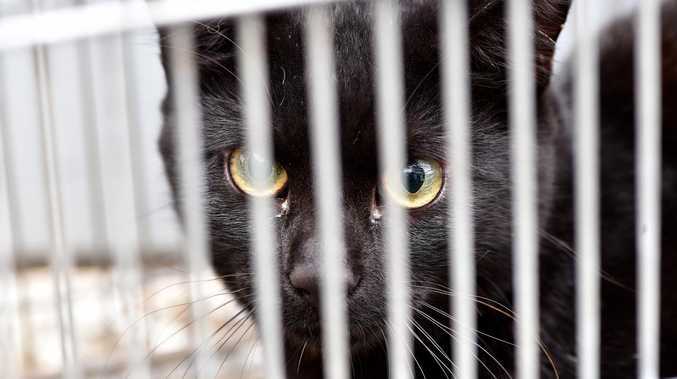 And, in 2015, the federal government even considered putting a similar ban in place nationwide, which would have effectively turned the nation's 20 million cats into housebound pets. Some councils, such as Wollondilly in Sydney's far west have tried to introduce curfews but struggled to find ways to enforce them legally. Australia's Threatened Species Commissioner Sally Box says the government is not trying to drive out cat lovers. "Roaming domestic cats kill about 60 million birds a year," she told the Weekend Australian last year. "A large number of threatened species occur in urban areas and I think people don't appreciate just how far their cats go. "We're encouraging people to have their pets microchipped, desexed and contained at night. "We have some cat containment suburbs (in the ACT) and councils across the country are starting to take up the issue. "It's not about preventing people from having cats - they are important companions for a lot of people. We're just trying to encourage responsible pet ownership."